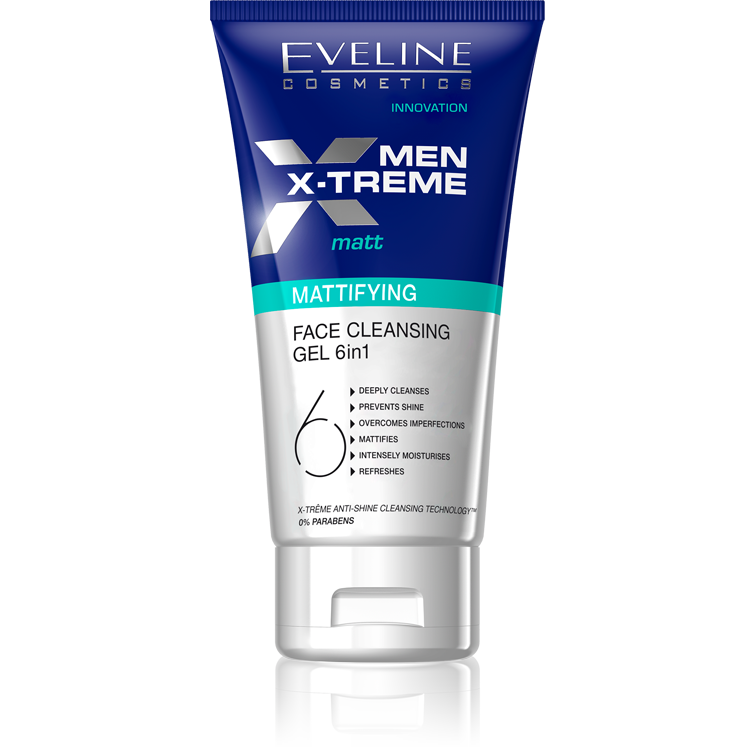 MEN MATTIFYING FACE CLEANSING GEL Formula rich in active ingredients deeply cleanses skin leaving it ideally matt and refreshed throughout a day. Regular use of gel eliminates typical problems of man's skin: shine, redness and dullness and restores skin balance irritated with shaving. Thanks to the use of X-TRÊME ANTI-SHINE Cleansing TechnologyTM each day perfectly cleanses, overcomes imperfections, refreshes and long-lastingly mattifies skin. MINERAL FORCE REPAIRTM complex combines sea minerals rich in magnesium and calcium with hamamelis which soothes redness. Improves skin metabolism and reduces dilated pores. Hyaluronic acid intensely moisturises, retains water in skin cells making it longer maintain young look. Application: moisten hands and face with water, apply the gel onto face and thoroughly cleanse with circular movements, then rinse off with water.